Mamata Banerjee is lucky that the entire cabal of mahagathbandhan has leaders facing seerious charges of corruption. No wonder, they flock together. But the drama staged by the Bengal chief minister has made her the first among the equals in the opposition ranks. In politics, leaders come and go, win and lose, but more often than not, they retain their equanimity and composure when faced with challenging times. But that aplomb comes only to those whose parameters of leadership and governance are pronouncedly straight, forward-looking and people-friendly. If Bengal chief minister Mamata Banerjee is on tenterhooks today, because she consciously created some unnerving hassles for herself, only she has to take the blame. All those troubles have painfully turned Banerjee incurably schizophrenic. Here, one may genuinely ask: Why did she unabashedly shed the constitutional propriety of democratic conduct by obstructing the CBI from carrying out questioning of her top cop in connection with two major scams? Why did she stage a dharna to defend her indefensible act of constitutional violation and forced her IPS officers to participate in the dharna, too, posing as her party functionaries? Is it the fear of the increasing popularity of Prime Minister Narendra Modi-led BJP in Bengal that has forced her to trash the Trinamool (Ma Mati Manush — Mother, Motherland and People) concept that she had brought to her political ideology way back in 1998? Not really, for the PM doesn’t seem to have done anything abrasive so far to upset her, except carrying out his moderate, constitutionally measured campaigning to win support of the people of West Bengal for his party. Today, Banerjee is seen openly protecting the corrupt, swindlers, criminals, goons, communal elements and all manner of rich thugs who form the core of her vote bank in different parts of the state. She barred CBI from questioning Kolkata Police Commissioner Rajeev Kumar, whose nexus with corrupt politicians had come to light, a nexus that had been meticulously built allegedly by the chief minister herself in her bid to shield politicians involved in public loot in the massive Ponzi scandals. In fact, this IPS officer is just a victim, a pawn exploited in a political conspiracy where the chief minister emerges as the key villain. Then she is blocking top BJP leaders from entering Bengal, spreading the baseless fear of communal violence that Modi and his team supposedly bring with them when they visit the state. Fearing the loss of her turf, Banerjee’s frustration has reached an alarming level. In the midst of the ongoing outcry, she has lost both her convoluted game and her face, with the Supreme Court promptly reprimanding her against obstructing the chit fund scam probe and allowing the CBI to question her protege Rajeev Kumar in Shillong, not in Kolkata. The CBI questioned the top cop on Friday. Meanwhile, the Centre has ordered stern action against Kumar and some other IPS officers for participating in the dharna in violation of the service rules. It is significant to note that a few opposition-ruled state governments had unlawfully "resolved" earlier not to allow CBI to investigate graft-related criminal cases in their states, alleging political vendetta. That scandalous mahagathbandhan 'decree' has willy-nilly come to Mamata's aid in openly shielding this "corrupt" commissioner of Banerjee’s making, who is said to have been protecting the culprits of the scams running into thousands of crores of rupees, with frauds committed on 20 lakh poor, gullible people. More than that, her brash attempt to stop BJP leaders' rallies in the state, months before the crucial general election, has further vitiated the atmosphere. Over this, BJP chief Amit Shah has pointedly questioned the chief minister to recount how many communal flare-ups have taken place in Bengal during his 23 visits as party chief? Even the Calcutta high court snubbed her for making such wild charges. But it is not in her gene to stop anywhere on the toxic mix of her vitriols. Amit Shah has accused her of "throttling" democracy in the state by denying permission for BJP rallies and 'yatras'. Modi's recent largely attended Durgapur public meeting has caused an uneasy flutter in her camp, sending Mamata into visible frenzy and nervous agitation. She undemocratically tightened clamp over the entry into Bengal of Amit Shah, UP chief minister Yogi Adityanath, former MP chief minister Shivraj Singh Chouhan and others, even though Yogi managed to outsmart her by taking a circuitous road route to address a rally at Purulia where he slammed Mamata's "intransigence and misrule", stating that "today, our Bengal is suffering from anarchy and misrule of the Mamata government... Nothing can be more shameful, undemocratic and unconstitutional than a chief minister sitting on a dharna to stop the secrets of corruption from spilling out.” Mamata looks hell-bent on banning the entry into Bengal of all major saffron leaders who have the grit and potential to electorally throw her into political oblivion. How can a chief minister think even in her wildest dream that the central investigating agencies like the CBI and ED can't conduct court-monitored probes into scams, even if the general consent of the state is not available? She knew the financial scandals of Saradha and Rose Valley groups were major political scams caused by the collapse of Ponzi schemes run by these groups, through consortiums of hundreds of private companies that were believed to be running collective investment schemes, wrongly referred to as chit funds in Eastern India. The CBI maintains that politicians were involved in the scam and the special investigation team (SIT), then headed by Rajeev Kumar, was aware of the political nexus in this awful rot. The investigators have evidence that some vital facts of the scam were either manipulated or hidden by the SIT, set up by the state government, which "freely tampered with the evidence and documents" before handing them over to the CBI. Even commissioner Kumar had allegedly deleted, from his mobile, all the vital evidence, including call details, pertaining to the SIT probe. As soon as a team of 40-odd CBI officers arrived at Rajiv Kumar’s residence on Sunday afternoon to question him, they were stopped by sentries and officials from entering the residence. A team of Kolkata police officers soon reached the spot and allegedly "heckled, manhandled and detained" them on the CM's instructions. They were roughed up and whisked away to police station. Wholly steeped in lawlessness, Mamata combatively intervened in the process of probe. Even families of the CBI officers were allegedly harassed and their homes besieged. Later, as Banerjee staged her sit-in protest at Dharmatala, Centre-State tussle reached a new high with the chief minister alleging "forceful intrusion of the CBI within the state jurisdiction." But the major question remains: Why did Banerjee turn up in defence of the accused police officer, if she had no axis with him? Is, then, she a party to the swindle, along with many of her party leaders? The stand-off between the CBI and the Banerjee govrnment has its routes in the two Ponzi scams, which got busted in 2013.The scams, wherein lakhs of investors in West Bengal and the neighbouring states were defrauded through illegal money pooling activities, had become political hot potatoes with the govt facing flak from various quarters. Both the groups invested heavily in sectors like entertainment, media, tours, travels, realty, housing, resorts and hotels. It was alleged that the chief minister had a direct link with Sudipta Sen, the Chairman of the Saradha chit fund group, which mopped up Rs 4,000 crore from over 1.7 million depositors and also with Gautam Kundu of Rose Valley, which collected over Rs 15,000 crore before the scams collapsed. Why did rogues buy CM’s paintings at high prices? With the illicit money pooling schemes, promoted through lustrous brochures and the promise of whopping high returns, the ponzy scandals finally ran into the cluster of big holes. The racketeer groups used collections from new investors to make payments to the previously-enrolled members, rather than from income generated through investments. The activities of these companies were found to be in serious violations of the Companies Act, the Sebi Act, and several provisions of the Indian Penal Code. Kumar, who headed the SIT, arrested Sen and then Rajya Sabha MP Kunal Ghosh. Subsequently, a CBI probe into the scams was ordered by the Supreme Court in May 2014 after a Congress leader filed a petition. Later, several TMC leaders, including a minister and MPs, were arrested by CBI. Enforcement Directorate officials arrested Kundu and two MPs for the Rose Valley scam. Both Sen and Kundu were allegedly close to Banerjee, whose paintings of less than ordinary quality were bought by the scamsters at mind-boggling prices. Some people consider this "obligation an intractable part of the nexus” that the fraudsters had with the chief minister. Did it ever occur to her why these rogues were paying so heavily for her pieces of ‘poor art’? Or, why did she fail to take quick action when scam stories flew thick and fast in the air for some time? Is opposition a corpus of corrupt? The chief minister's monstrous cruise into the rogues’ wonderland has reduced her to a despicable figure in the eyes of the Indian masses, given that she is holding a high Constitutional position. She knows without creating a turbulent situation, on the issue of protecting her corrupt henchmen, the entire mass of the Opposition can't be huddled together on a platform “in a true spirit of camaraderie” to defeat Modi’s challenge. When she tries to ban all the tall BJP leaders from entering West Bengal, it is clear she is apprehensive of losing her political turf in big bits. Banerjee obviously believes that unless she is able to forcefully fight the Modi regime, displaying her leadership gumption, she can't emerge as ‘first among equals’ in the alliance line-up. Alongside, she is also trying to demonstrate to the Opposition stalwarts that if they are together in this fight, neither Modi nor his CBI can touch their baggage of slush. This is more or less a fight between the rule of law and the organized mafia of political swindlers who loot the public funds and win the people's votes time and again to perpetuate their campaigns of loot. This happens by exerting hidden sinister influences, camouflaged under the façade of honesty, truthfulness and people’s care. Unless Banerjee is able to effectively protect her own corrupt henchmen in Bengal, alleged ‘scamsters’ presiding over mahagathbandhan outfits like Congress, BSP, SP, RJD, DMK and others (sample the properties these families have amassed), her leadership will inevitably fall dry, ineffective and non-combatant. Her obvious effort is to shock PM Modi who has apparently emerged a proverbial giant killer in the aftermath of his 2014 massive electoral mandate. At his Durgapur rally, the PM had attacked Mamata Banerjee for putting premium on the politically-driven loot of the poor people and advised her to support the Citizenship Amendment Bill in Parliament to "give the refugees living in India the right to citizenship." A senior BJP leader privately states that PM is "stunned" with Banerjee’s puerile and insensible conduct, considering that she is the chief minister of West Bengal, a state that has produced a galaxy of intellectuals and towering personalities. 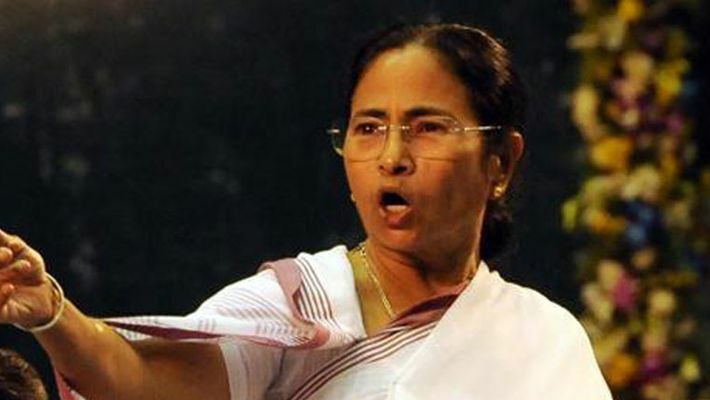 Mamata furious because BJP has hit her source of fund for Lok Sabha polls?